This is a quilted wallhanging I started last Christmas and finished in time to hang this year. I took photos of various decorations on our Christmas tree and printed them on cloth sheets made especially for computer printing. I love the effect of the twinkling lights. I worked a long time with the camera settings to get this effect. 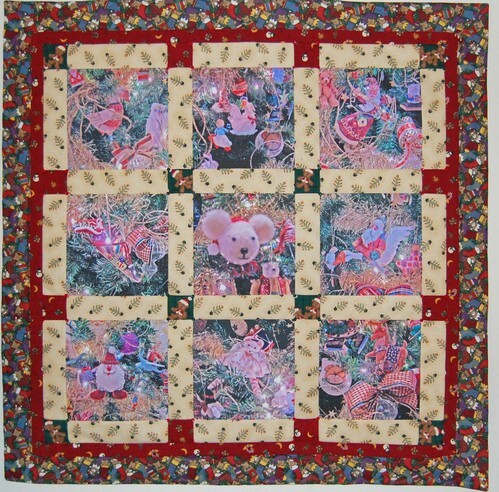 Once I had the 9 photo squares prepared, I then pieced the quilt with Christmas motif fabric.